There are many things we do in life out of familiarity without really knowing the reason behind these practices. At times, they are pretty harmless but there are also times when continuing such a practice can be bad for us especially for our health. Let us take our sleeping habits for example. You’d be surprised at the number of sleeping mistakes most of us make on a daily (nightly) basis. We don’t think of a lot of things when we hit the sack. It is especially true back then when we still didn’t have smart gadgets to entertain us 24/7. Sleep matters more than we give it credit for. 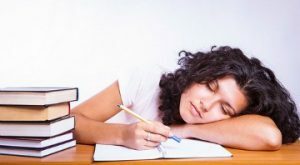 Many times we sacrifice a good night’s sleep because of our various pursuits and responsibilities and is quite common during your productive years. You’ve crawled into bed after a long day and you’re so tired you can barely keep your eyes open. But somehow, even though you’re exhausted, you have a lousy night’s sleep. This problem is more common than you might think. According to research conducted by the Sleep Health Foundation, between 33 and 45 per cent of Australians either struggle to sleep well or don’t sleep for long enough—and it’s impacting on our health and how we function through our days. When we don’t get enough sleep, everything is more difficult. It affects our mood, how we feel about ourselves and our lives, the food choices we make (say hello to that 10am muffin and coffee and 3pm chocolate biscuit binge!) and how we speak to those we love most in the world. Lack of sleep can increase inflammation in the body, which in turn is a risk factor for type-2 diabetes, heart disease, high blood pressure and poor digestive health and it adds another layer of stress to the body since it doesn’t have sufficient time to repair and restore. We can’t fight our biology, sleep is essential to our very being and getting quality sleep at the recommended 7-9 hours each night can make the world of difference to our energy and vitality. Sleep restores our body’s vitality and allows us to perform at our best during the day. Sleep deprivation is one of the most underrated factors as to why people get sick these days and one of the most challenging issues to overcome in this tech-crazed modern life. Alarms are a noisy (and annoying) reminder that we have to lift ourselves out of the bed and face the day. It’s hardly surprising that many of us reach for the snooze button for an extra 10 minutes of shut-eye, however snooze buttons are actually the enemy. We’ve all, at one time or another, fallen asleep on the sofa while watching TV after a long and hard day. Many, however, see this as something to replicate in the bedroom when we can’t fall asleep — this is a very common sleep mistake. Refined sugars can disrupt the organs that control hormone regulation. When blood sugar levels and hormones fluctuate, this can cause you to wake up during sleep cycles and therefore cause fatigue the following day. Those are just some of the things we are guilty of doing that actually messes up our sleeping pattern without us knowing. The majority of Americans nowadays are actually guilty of doing all four sleeping mistakes and are likely to keep on doing it indefinitely. It is better to address these habits early on before you’ll ultimately be unable to correct them and leave you feeling run down, exhausted and stressed every single day. While these mistakes are born out of habit, there are sleeping issues we have little to no control over. These are often sleep-related disorders that are the bane of the existence of some people yet seldom talked about in public. For example, sleep apnea affects lots of Americans these days but it is rarely addressed for the condition that it is and mostly talked about because of the annoying snoring that characterizes it. If you happen to suffer from sleep apnea, there are anti-snoring gadgets you can use to relief you of many of its discomforts. 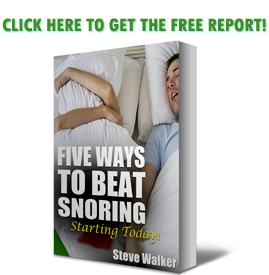 https://snoringmouthpiecereview.org/good-morning-snore-solution or https://snoringmouthpiecereview.org/sleeptight is good for starters but if your condition is more severe, your doctor can prescribe other sleep apnea treatment such as CPAP or a more invasive surgery to correct the issue.